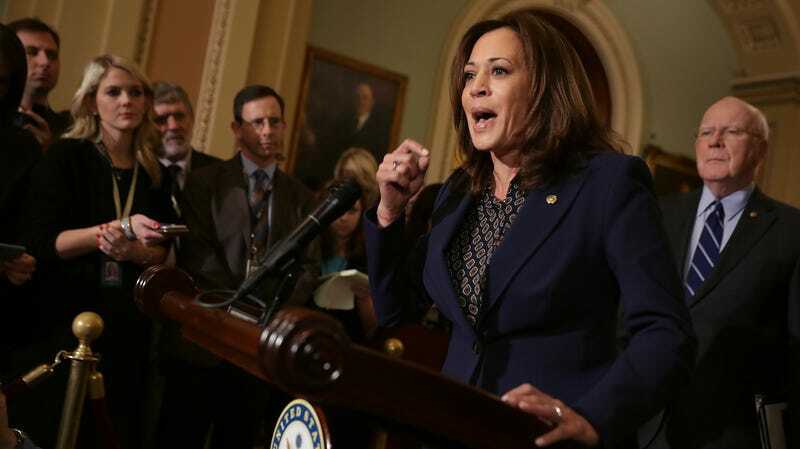 On Wednesday, Sen. Kamala Harris and Rep. Pramila Jayapal announced a bill protecting domestic workers that, if passed, would become the first national legislation extending basic labor protections, including the right to unionize, protection from discrimination, and right to safe working conditions, to domestic workers. Most domestic workers, which are disproportionately women of color and immigrants, have been excluded from federal legislation that protects workers, including the Civil Rights Act of 1964, which prohibits discrimination only in workplaces with more than 15 employees, and the Occupational Health and Safety Act of 1970. Domestic workers have also been exempted from the National Labor Relations Act and the Fair Labor Standards Act, which enables workers to unionize and earn minimum wage and overtime, respectively. A National Domestic Workers’ Bill of Rights would extend these critical protections to nannies, maids, au pairs, and other domestic workers who are particularly vulnerable to abuse, wage theft, and exploitation. According to data from the Bureau of Labor Statistics, in 2017 most domestic workers earned about $11 an hour. They rarely receive benefits like health insurance or pension plans. Across the country, a handful of states, including New York and California, have enacted a Domestic Worker’s Bill of Rights that expands labor protections to in-home workers. Harris and Jayapal’s bill would take that model nationwide. This Bill of Rights would close legal loopholes excluding domestic workers from certain federal labor and civil rights laws. The legislation would also create meal and rest breaks, and establish fair scheduling practices, as well as strengthening support networks for domestic workers who are survivors of workplace sexual harassment and assault. It would include grants for domestic worker training programs and calls for paid sick days, affordable health care and retirement savings, whether the worker is employed by a big company or an individual household. It would strengthen rules to prevent employers from retaliating against workers for reporting problems or violations of rights. And, finally, it would create a new federal task force to enforce domestic workers’ rights. Correction: A previous version of this post stated that Harris and Jayapal have introduced the bill. They have announced the bill and plan to formally introduce the National Domestic Workers’ Bill of Rights when the new Congress starts.